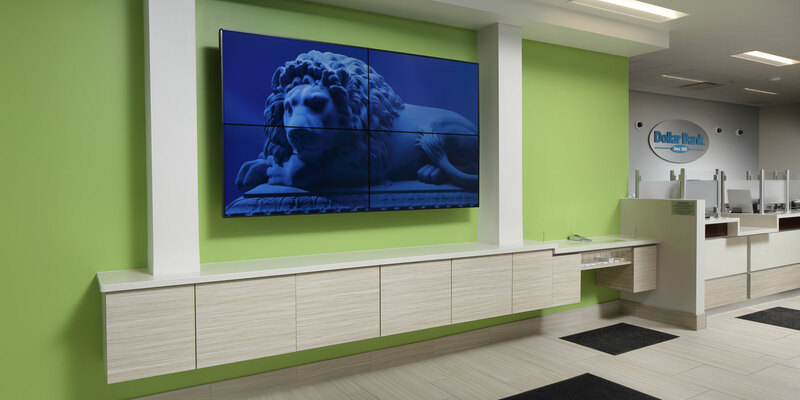 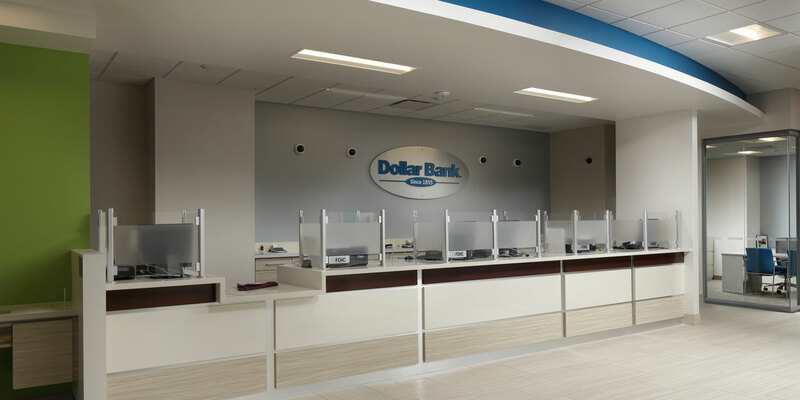 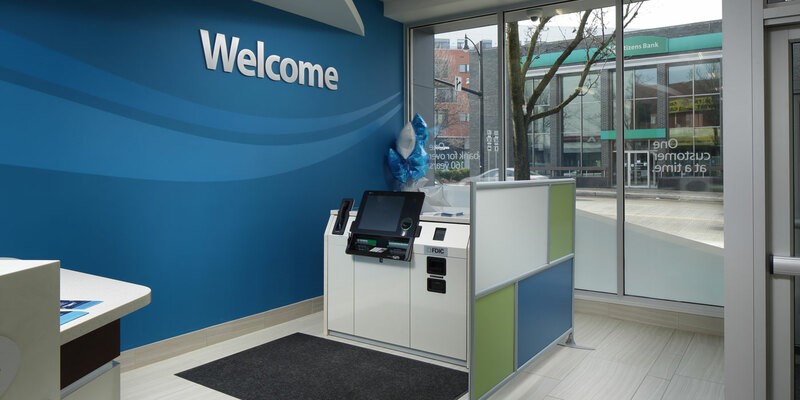 The sleek design of the newly renovated Dollar Bank branch includes modern interior finishes with pops of color to emphasize their branding. 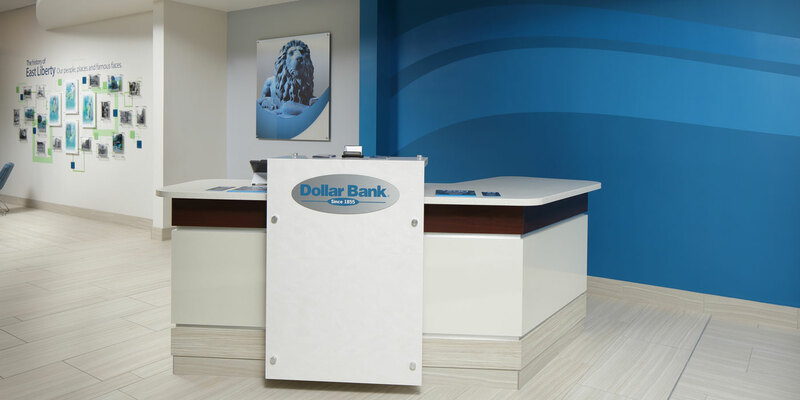 The 3,500 SF branch has a comfortable waiting area, greeter desk, a six-person teller line, multiple offices, conference rooms and break room. 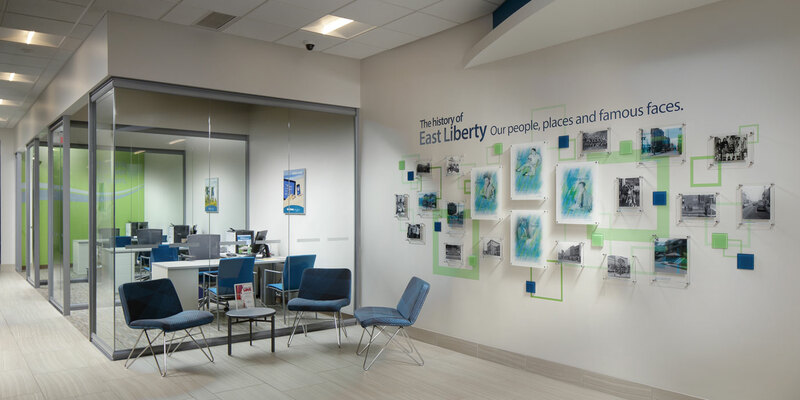 The branch is located on Penn Avenue in East Liberty, PA. MBM provided general contracting services for the interior fit-out.